The kids are back in school and our mornings start early. And for mom, nothing comes before coffee! This post is sponsored by McDonald’s, but the thoughts and opinions expressed here are my own. 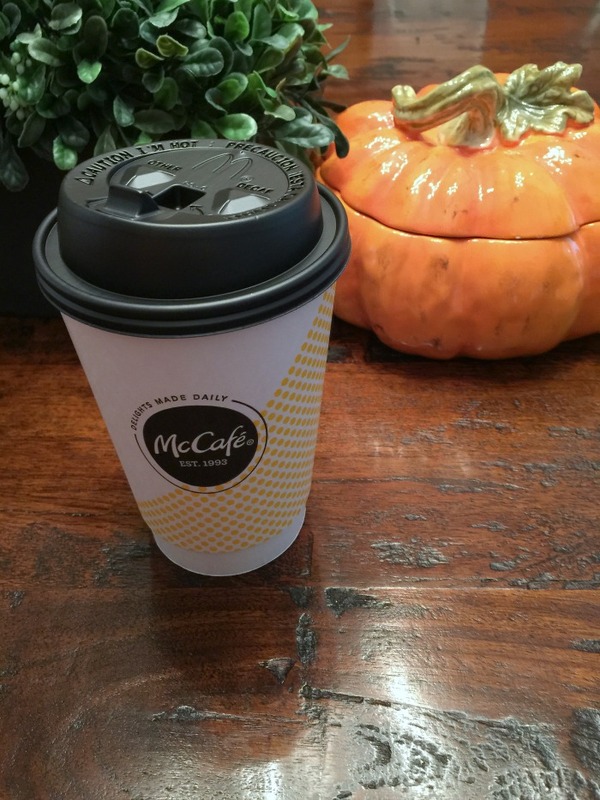 The new McCafé espresso menu is available at participating McDonald's. Whoohoo, my kids are finally back in preschool three days a week for 5 hours at a time! We were honestly the last school to go back in Dallas (most schools here start in the last week or two of August). We're back, and while most moms shed a tear this time of year, I dance a jig. That's right, I'm thrilled when my kids go back to school! They're so young that school is only 15 hours a week which means we still get plenty of playtime, but those 15 hours enable me to get SO much done. From blogging to hair appointments to lunch dates to home organizing, I love my 15 kid-free hours a week, and I'm not ashamed to admit it. What I'm not a fan of is how much more rushed school days make our mornings. And how much earlier we have to get started. I'm NOT a morning person, y'all. I'll share my "not morning person" routine with you, but before anything else, - COFFEE! Before I was a mom, I wouldn't drink my coffee until I arrived at work. But now that I am a mom, I understand the key difference: I wouldn't have to speak to anyone before I arrived at work. Sure, I had to walk my dog, but he didn't require any conversation or brain usage. Now that I am a mom, there's no quietly getting ready in the mornings. I'm awoken most days to my oldest hollering out, "MOMMY! DADDY!" between 5:30 and 6am. Bless his sweet heart, he doesn't get out of his toddler bed, but he yells so loud we can hear it clear across the house. I like to have my coffee before talking to other adults at preschool drop off. Enter McDonald’s: it has a completely new espresso menu and it. is. good. I'm a fan of hitting up the drive thru so I've already had some delicious coffee in me before I have to face the chaos that is preschool drop off, but even the restaurants themselves look completely different than the Golden Arches of my childhood. I, being the fall lover that I am, opt for a seasonal Pumpkin Spice Latte or the Vanilla Cappuccino. 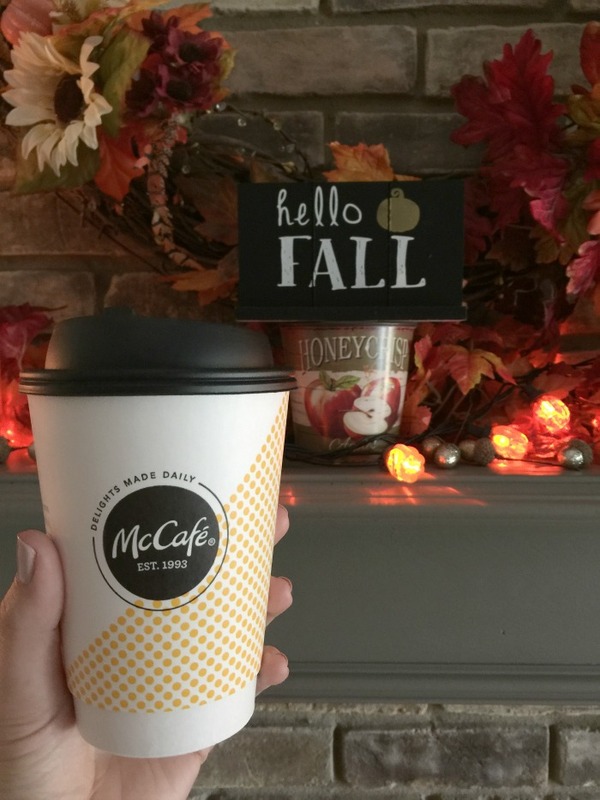 Pumpkin Spice Latte available through October 2017 at participating McDonald's. It might still be 100 degrees here in Texas, but it's back to school time, football time, my fireplace mantel is decorated and so help me if I have to will the weather into being fall myself, I will! It is a delicious treat that I get to sip on, congratulating myself for getting everyone ready (well, I might be questionable, but my kids always look on point) and out the door on time. And we're usually EARLY for school. Deal lovers, when you buy any 5 McCafé beverages, you get any sized McCafé beverage FREE with the app! (Valid 1/18/17 - 12/31/17. McD App download and registration required. Valid only at participating U.S. McDonald’s. 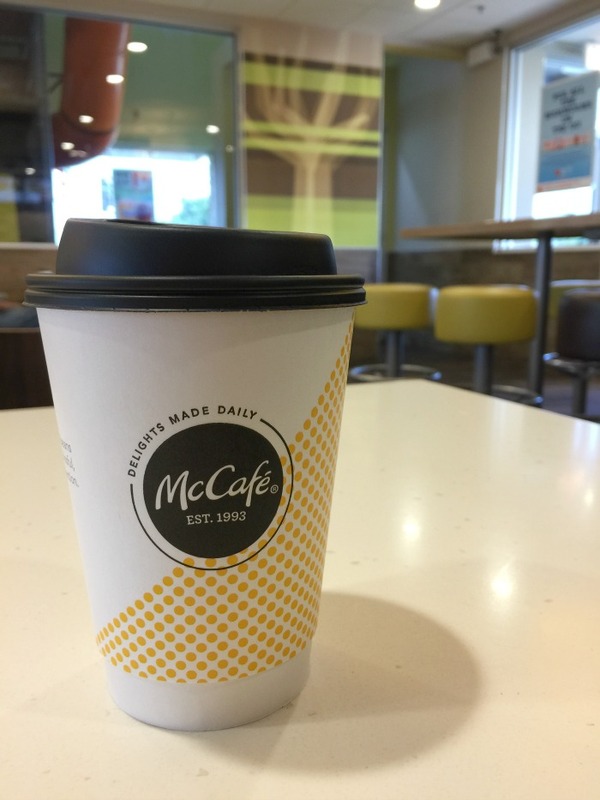 ©2017 McDonald’s) You can try any small size beverage for $2, so this coffee habit won't break your bank. You can even start hitting them up as part of your back to school morning routine. A la carte only. Limited time only at participating McDonald's. Cannot be combined with any other offer or any combo meal. ©2017 McDonald’s. If you don't believe that this cleared my skin, there's some amazing before and after shots in the post. My skin is 100% (yes, 100 percent meaning completely clear) free of breakouts now! 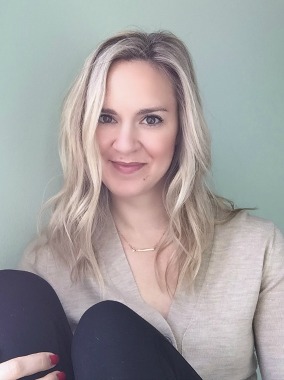 Ditching the harsh "acne fighting" cleansers and cleaning my face with oil and essential oils enabled my skin to "reset." When you fight breakouts with harsh cleansers, your face produces more oil. More oil clogs pores, leading to more breakouts. 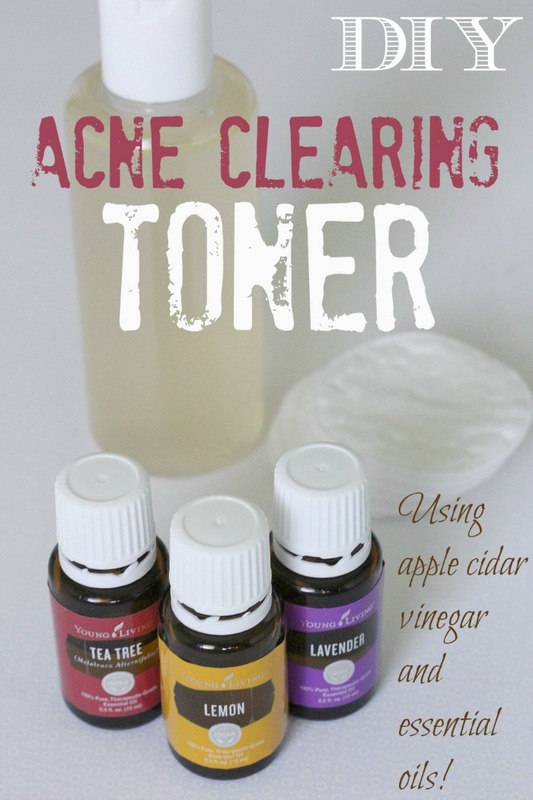 But this blend cleaned my pores and helped moisturize my face so it didn't have to produce as much oil, which led to fewer and fewer breakouts. Now, I don't even wear makeup (like foundation or tinted moisturizer) because it's totally clear. I haven't had skin like this since I was in grade school! Is there anything that apple cider vinegar ISN'T good for? It helps with gut health if you ingest it, it's good for your skin, it can be used in homemade cleaners, it makes amazing vinaigrettes, I mean the list goes on and on. Now I will say that it has a very particular smell that carries through the toner. The first time I made and used it, I went directly to a hot yoga class and smelled it the entire class! I hated it, but I hugged a friend and she said, "oh my gosh, you smell good!" so I think it's a hit or miss smell. After a week or so, I got used to it and now it doesn't bother me at all. Full disclosure: I still can't drink the stuff straight. I have to mix it and dilute the heck out of it! This stuff smells amazing and leaves your feet with that tingly feeling of peppermint! 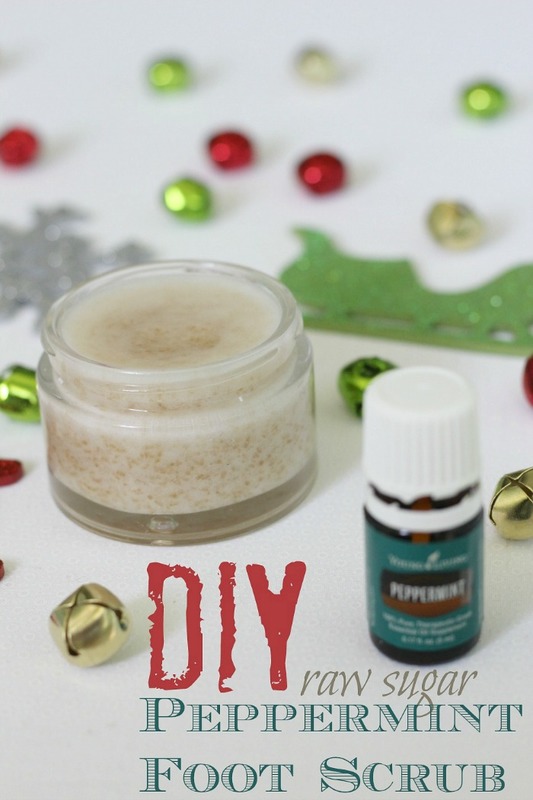 I used raw sugar so that it would be a little more coarse to exfoliate dead skin off of feet. But you could use traditional sugar if that's what you've got on hand. In fact, I made this in bulk and gave it away as presents to my girlfriends last Christmas (just get some cute ribbon to make it "gifty" and attach a tag - boom, Pinterest worthy DIY gift) and it would probably be more pretty and "glittery snowflake like" if you used plain white sugar. Anyway you make it, the peppermint makes it smell. so. good. 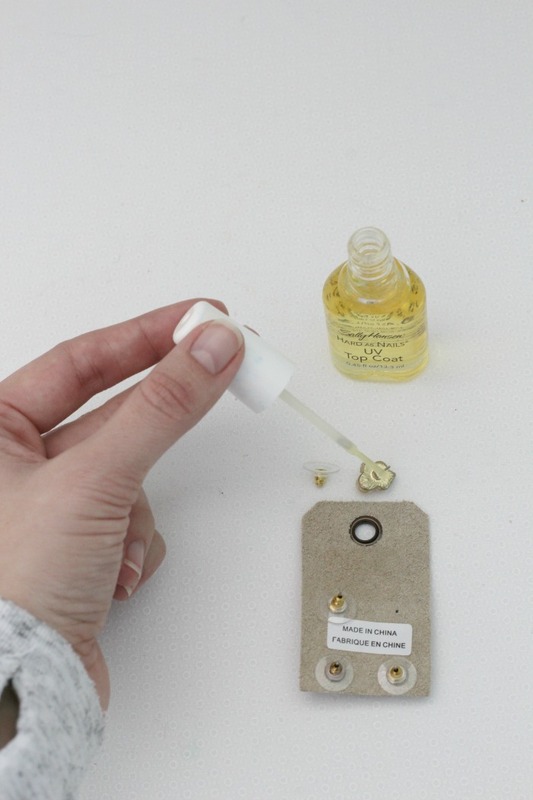 Those are my favorite DIY beauty hacks I've published throughout the years! Like I said, there's nothing coconut oil and apple cider vinegar isn't good for, so go invest in some and keep it on hand all the time. You'll be glad you did! All of these hacks are super simple to make and can be whipped up in less than 5 minutes. You can also make them in bulk and gift them away for this upcoming holiday season! The price point per jar is a super budget friendly way to give ALL of your friends and family a homemade treat that won't go straight to their waistline this year. Two things have spurred me to write this post. The most recent one was a group chat I was in with several other bloggers. We always have light hearted, fun discussions about a whole variety of topics. Except this time, one of the bloggers took serious offense to what another said. She basically stopped the whole conversation with, "OMG, how rude! I can't believe you just said that to me!" It changed the whole vibe of the group chat because nobody knew where to go from there. I don't think anyone else took offense but this one particular blogger, but her offense ruined the conversation for everyone. That exchange reminded me of a seminar I went to at Wanderlust (a big yoga/love fest festival) where the speaker was teaching us the basics of Bhagadad Gita, a seriously life changing way of processing the world around you. One of the many things he had us repeat was, "I take no offense." Because offense means you're making someone else's statement about YOU, and odds are, it has nothing to do with you. The world does not revolve around you. So let it go. I want expand on this and tell you all about the art of NOT being offended. It's an interesting world we live in, isn't it? Social media is where most people get news about the world, family and friends, yet most of us criticize it for not being "real." Bloggers talk incessantly about "stuff" - what they're wearing, where they're traveling to, their cars, their weddings, all this material stuff. That, I should add, they hope makes you want that "stuff" too. It's a pretty pathetic world if you really think about it: Fake news, excessive materialism and nonstop comparison. When that blogger took offense at the light-hearted comment, I wondered how awful it must be to be her. She was so wrapped up in the comparison game that she couldn't handle playful comments. She took it as severe criticism and took offense. It has to be absolutely oppressing to be that wrapped into what other people think of you, don't you think? To turn a fun conversation into something that was all about HER, and negative and offensive, is absurd. What a waste of her (and everyone else involved with that conversation) energy! Why be so concerned about what other people are doing and thinking? Why not focus on making yourself a better and more positive person? Because here's the thing: You don't control what others think or do. You can only control your reaction (including taking no offense). Let what other people are doing and thinking go. Especially if you're processing their thoughts and actions as negative. There isn't much we actually own in this life, but our thoughts and actions, including how we react to others, are two of them. One of the biggest lessons I've learned in life is that if someone lashes out at you, or has some sort of sharp criticism, or in my case - leaves a negative comment on your blog or social media - it's actually not about you but instead a reflection of something that's going on with THEM. If someone were to call me a bad mom, for instance, it's not that I'm indeed a bad mom. It's more that they're struggling with something they did as a parent. Henry taking offense at the flower falling apart. It's ok, he'll learn the art of letting it go soon. When you start to process the world in a way that it's not all about you, it's so freeing and it becomes much easier to NOT take offense. It also enables you to be a more compassionate and emphatic person. Empathy is something the world needs so much more of! Think I'm a bad mom? Cool, I hope you figure out what it is that's bothering you about motherhood. Offended by my lack of makeup on a daily basis? Awesome, I hope applying makeup on thick makes you feel better about yourself but odds are you feel some type of way about your inner beauty. See what I'm saying here? There's definitely an art to NOT being offended. And it takes regular practice. You have to train your brain to let things go and to not make a given situation about you. A huge part of this process is letting go of comparison, letting go of the importance of material items (after all - you can't take any of that stuff with you when you leave this earth and they are just things that don't define your importance) and realizing other's words or (re)actions aren't about you. In the wise words of the yoga instructor at Wanderlust, "Repeat after me: I take no offense. Now do it again. I take no offense." Get the supplies you need to successfully organize your blog and start earning money blogging! Friends and strangers alike reach out to me often to ask me "how do you make money blogging?!" I have a couple posts where I outline my favorite public relations firms to work with and some lessons I've learned about blog moneitization, but the real key to earning a consistent income blogging is twofold: 1) you have to consistently publish content (that means you need to take blogging seriously, like any other job you've held down) and 2) you need to stay organized and on top of your business and your brand. I'm listing out the items I use and how I use them to keep myself organized, and dishing some blogging for profit tips along the way. Without further ado, here are the blogging supplies that get you organized to make money blogging! Affiliate links used. Not surprisingly, blogging relies on technology. Technology relies on a power charge. 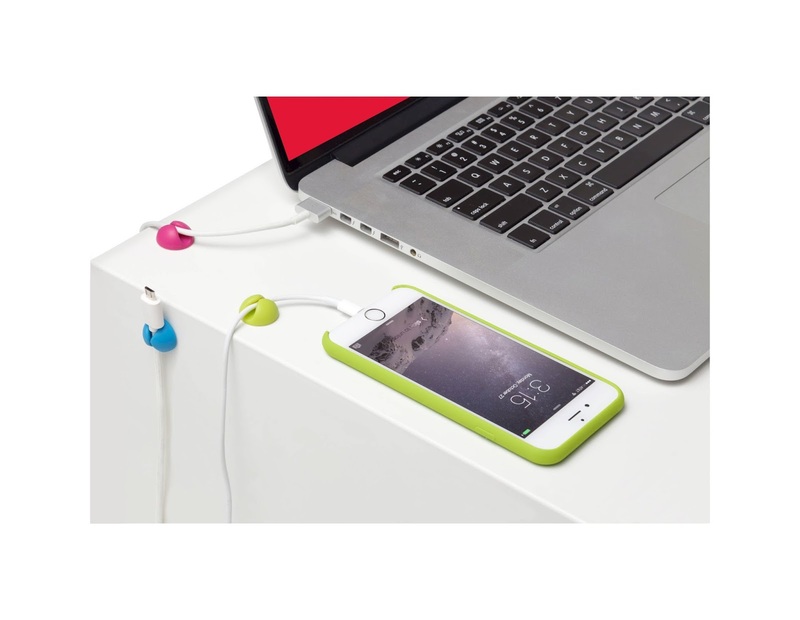 It's really easy to have your desk get cluttered with iPhone, iPad and laptop cords! My battle is keeping the cords away from tiny toddler hands that love to play with them, too. These nifty little clips keep your charging devices in order so you're not fumbling around when your charge gets low! You can keep all your devices fully charged so you're not running out of battery when you're about to capture that perfect Instagram shot, or are trying to shoot a product in the few minutes of "good light" that's left for the day. Have you ever watched a video with terrible camera shake? It's awful and looks unprofessional, and likely won't do anything to expand the reach of your blog. This phone holder can also hold tablets, so no matter how your filming, you'll have a smooth video. It's for desktops, so you can look up and not get the "double chin" problem of simply propping your phone on your desk. If you're not into producing videos, it's nice to have so that you can facetime and work. If you use your camera for photos, it's a great holder to use the timer function for shots that require you in them. One of the biggest things that's helped my blogging was when I got my own desk. I picked it out and styled it just how I wanted. Having your own space - whether it's a desk in the corner of a room like me or you get your own whole office - is KEY. When I started blogging, I did it from our breakfast bar, which meant I couldn't keep paper supplies and pens and all sorts of other office "stuff" nearby. I also didn't have it well lit, using only the icky overhead lights. Invest in a cute desk lamp like that one or this one so your lighting doesn't give you a headache and you're able to create a personalized, creative space to write and edit photos. Sound old school? Maybe, but I find that when I'm writing on my laptop about one thing, other ideas often pop into my head. I have a spiral bound notebook on my desk where I have an on-going list of blog post ideas so I never run out, keep my financial records (I also track them electronically but keep paper records for backup) and take notes at any conferences or workshops I attend. The spiral bound is essential because you'll constantly be switching back and forth between all your sections. Pro tip: get two and keep your finances in it's own notebook so if you lose it/forget your "ideas" notebook, your finances aren't lost (or found by the wrong hands!) too. Yup, old fashioned again. I know some people love their phone calendars or apps to track their editorial calendars, but not me. I'm a visual person, so I like to write out my calendar on paper in an actual calendar! My planner is my most used "thing" beyond my phone - even more than my laptop! I plan my goals, editorial content (basically, what posts are going to publish when), daily and weekly to do lists, brand collaborations and even personal appointments like the kids' dentist, when they don't have school, etc. This way EVERYTHING is in one place, laid out for me week by week. This planner is super cute, but so is this one and neither will break the bank. No, you don't need an expensive customized planner to get the job done! This goes hand-in-hand with the planner. I color code my planner so that at a brief (or sleep deprived glance) I know what's going on for the day. Blog posts are listed in orange, paid collaborations in green, personal appointments in purple, the kids' schedules in blue and so forth. I started doing this mostly because I had fun with it, but soon realized how helpful it is to stay on track! I pay most attention to green things, because hey - that's how I get paid! I'll list deadlines for drafts and reporting forms in that color. If you're a visual person like me, it's extremely helpful to organize yourself "in color." 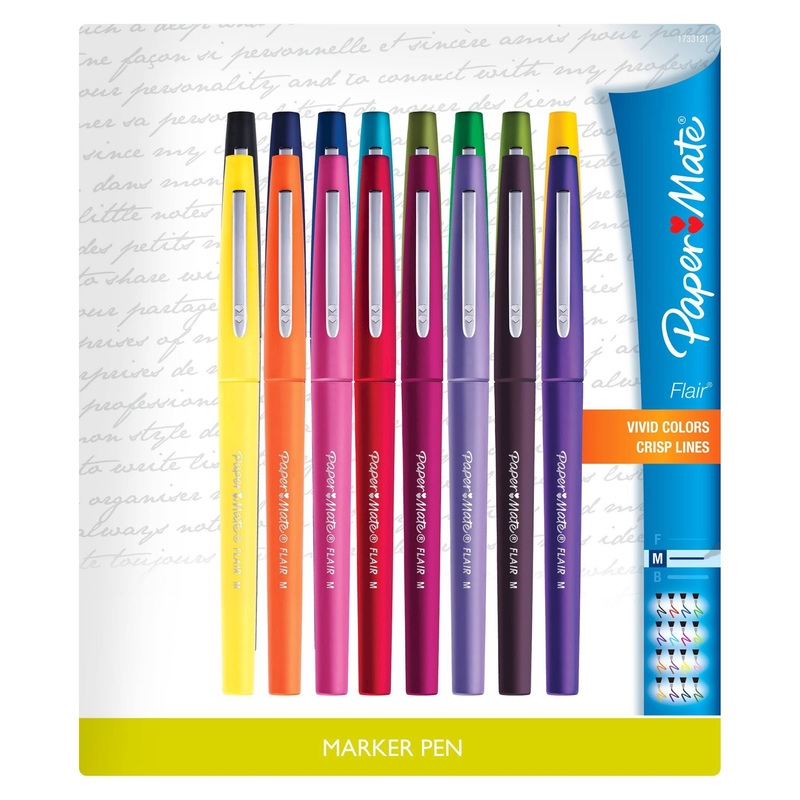 I like this pack because the pens write nicely, and I know I won't run out of colors for all the different topics I track in my planner. This doesn't have to do with organization, it's true. But I can tell you that after I invested in this DSLR camera (this is the actual one I use, with this lens) my Instagram account exploded past the 20k follower mark, brands began reaching out TO ME to collaborate, my monthly income more than doubled and I finally got accepted into some great blogging groups and PR firms, continuing my cycle of more money. It's true that my most viral pin was shot on an iPhone, and I even started making about $500/mo with only an iPhone camera, but if you want to be taken seriously and make more than entry level income for each paid blog post (and Instagram post!) you publish, invest in a DSLR, learn how to use it and best of all, write it off on your taxes as a business expense. It's worth it's weight in gold, and I wish I'd have had it sooner. Blogging is 50% images, 50% writing, but social media is far more image-focused, and to promote yourself you'll need those high res shots. Being organized is essential for any business owner, and if you're trying to make a go at blogging for a living, it's no different. You have to be on top of your content. You need an editorial calendar so you're not posting the same posts consistently and can create a great content mix for your readers. These supplies got me organized so that I started to make great money as a blogger. Used consistently, they can help you too. After we had Otto, we agreed to wait a full year before we even remotely discussed having more kids. We had two babies under two, and I knew that first year would just be about surviving. When that deadline approached, it just so happened that one of my dearest friends got engaged, and asked me to be in her wedding. I looked at my husband, and said, "No baby talk until after the wedding!" to which I think he was relieved. Her wedding is this coming weekend, and as far as I know, there's no more need to delay the conversation. What I'm stuck on is how do you know when you're done having babies? I honestly don't know how I feel about adding a third child to the mix. I think about having a newborn again and shudder. Some moms love that phase, but I don't. I don't enjoy how needy they are, and waking up every few hours. They don't look at you and know that you're mommy, they just scream out in needs they can't communicate. It's easy when you only have one because you can rest when they rest, but now that I have two other toddlers, it will just be a sleep deprived nightmare! However... that's a relatively short period of time. I really start to enjoy the baby by about 6 months, when they can coo and laugh and sit up and play. I look at how close Henry and Otto are and I have mixed feelings. Three is a crowd, as they say - will they welcome in another little person to their play group or will they pick on him and make him the odd one out? They're such friendly and loving kids, I have a hard time believing that they wouldn't welcome another playmate into their bond, but you never know. If I have a third boy, will he be able to keep up with brothers who are only 19 months apart while he's the youngest by almost three years? Don't even get me started on the people who tell me to have another baby to "try for a girl." You get what you get and just hope that everyone comes out healthy. Think these two look friendly enough to add a third into their baby-thug-club? I think about my age. I'll be 33 next month. I had Otto when I was 31. It feels weird to be so young and to already be "done" having kids! I have a lot of fertile years left, right? It's 2017, I could get pregnant all the way until 40! Done at 31, what?! And only two kids... I had always envisioned myself with three. But that was before I had any children at all, and was oblivious to how much work they are. Right as I decide, YES, I'm ready and want another baby, I think about something stupid like baby weight. Ughhhhh, it was so hard for me to lose the baby weight, and get my abs back. It's stupid to think about something so vain, but it is a thought that runs through my head. And then there's breastfeeding. Another ughhhh. Some women make a billion ounces of milk, but not me. It's a struggle to keep up. I have to go out of my way to eat when I'm not even hungry and constantly have a bottle of water at my side. I wouldn't go so far as to say I hate breastfeeding, but I definitely don't love it. And I may have danced a little jig the last time I BF'ed both Henry and Otto. Freedom!! And every time I decide, NOPE, we're done having kids, I get a nagging feeling like our family isn't complete yet. We have enough money, we have a big enough house, we have enough love to add a third, so why wouldn't we? When I packed away Otto's baby clothes, I honestly didn't cry because I thought, "Meh, I'll be seeing these again!" But now I'm not so sure. My fear is if we do decide that we're done having babies, I'm going to wake up when I'm 38, 39, 40 and have huge regrets that we only had two kids. You know, right at the cusp of realistically not having the ability to get pregnant easily again, but with a 10 year age gap between our oldest and the desired baby. And my husband would be almost 50. I guarantee you he'd NOT want to start over at that age! He'd be 70, paying college tuition. Ha, no thanks. That's where I'm at. It's like I'm at war with myself, changing my mind every other day on having another baby. On the one had, "starting over" with an infant seems DAUNTING. The sleepless nights, the postpartum hormones, breastfeeding - all of it, ughhhhhhh. Then on the other hand, being done so young with the ability to have more seems strange, and not quite right. Having a small family seems strange. It kind of seems like someone is missing from the family, but the thought of an infant is terrifying to me. It's just become easy with the two boys I have, and a baby would erase all that ease. I wish I could birth a 6 month old and just skip the newborn stage. That'd be the answer to my dilemma. Alas, science doesn't work that way. So I ask you, how do you know when you're done having babies? Help me. Please. I'm taking the day off to enjoy the long weekend! See y'all back here on Thursday, September 7. Everyone enjoy their long weekend and get off the internet! Go outside. Be with friends and family. Have a great time building some memories.